Rock climbing is by far my strongest attribute in the series of tests required by the British Mountain Guides, and I’d say skiing is my weakest. That as it may be, the Ski Induction test for the BMG felt more fun and relaxed than the Rock Induction, perhaps because this time I didn’t forget my skis! Rich Parker leading the way. 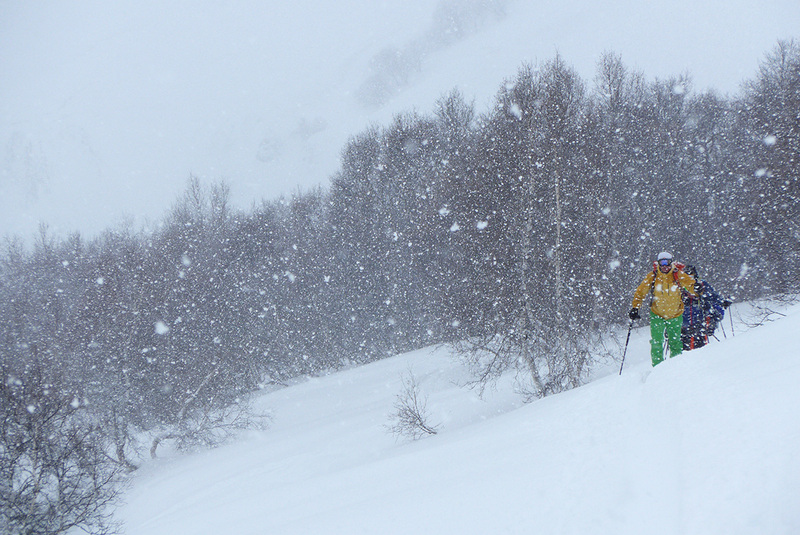 This day we looked for safe terrain to follow whilst ski touring. Not easy with an Avalanche Forecast of Cat 4! The induction itself was precluded by an intense ski technique course in Leysin in Switzerland. 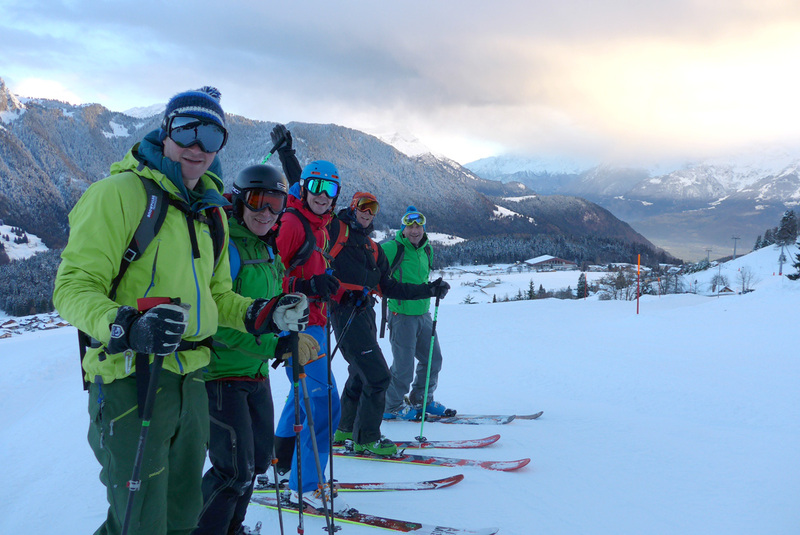 This course was run by Swiss ski coach Alex Languetin, and was a brilliant way to improve skiing, bond with fellow BMG Trainees, and generally have a good time. 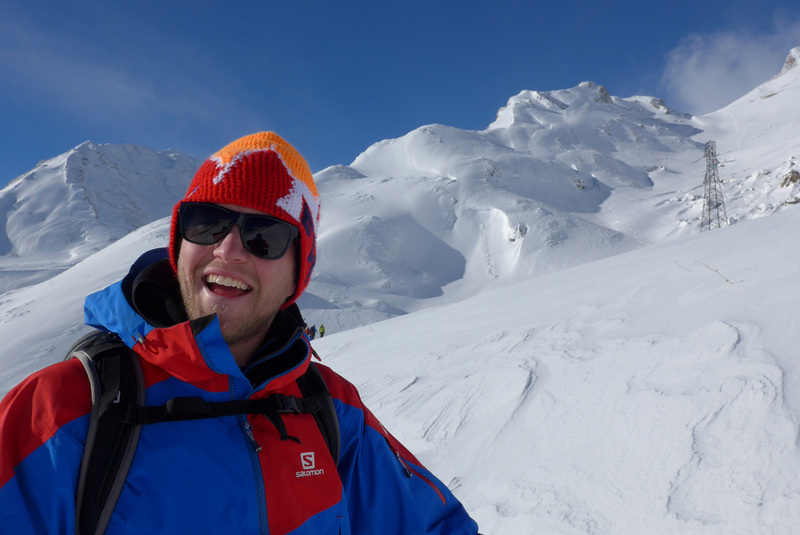 Alex is an amazing skier, but more than that he is an amazing ski coach, with a huge amount of enthusiasm and passion. Duncan, Max, Guy and Ross with the legendary Alex at the back. 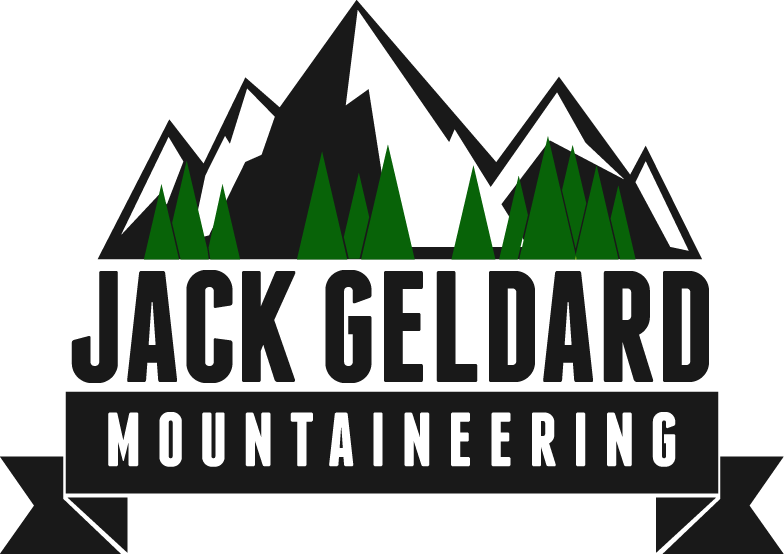 On behalf of everyone who attended the course I’d like to say a huge thanks to Alex and his team, as well as British Mountain Guide Steve Jones, and finally to the brilliant Fred Harper Trust. The Trust meant that we were able to attend a high quality ski course with zero course fees, and as the BMG Scheme is a long and expensive affair, this funding was gratefully received by all. 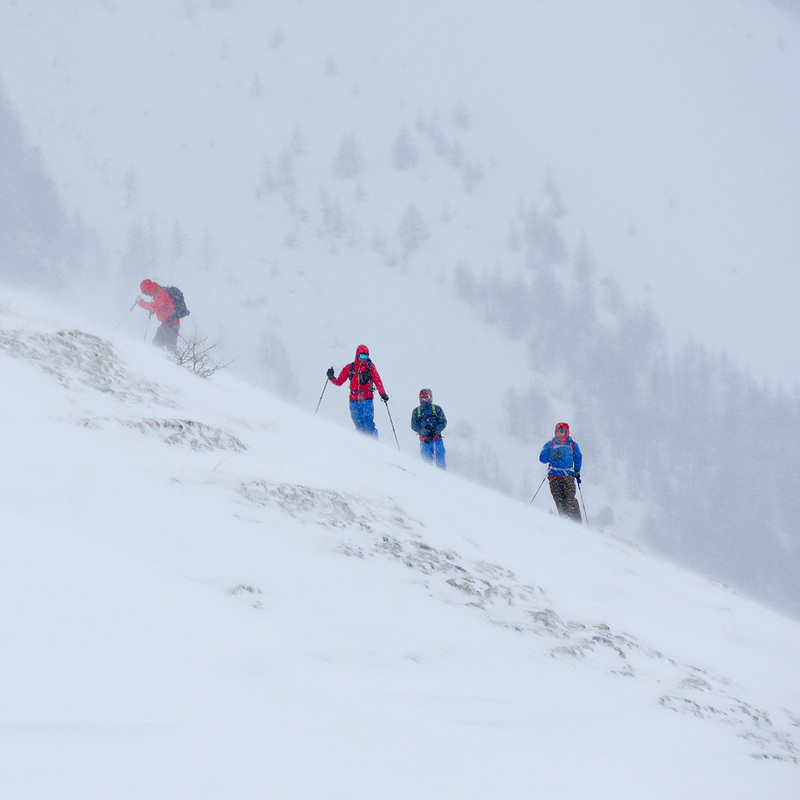 Coming straight out of such an energising course, the Ski Induction day felt like a breeze. All of the candidates were given the green light to proceed with the BMG courses, and I felt pleased to have spent the last five winters in Chamonix building my experience on skis. Despite skiing being a relatively new sport for me compared to climbing, I felt I was in the stronger half of the BMG group, and that gave me confidence for future work on skis. Dave Searle loving the ski induction! 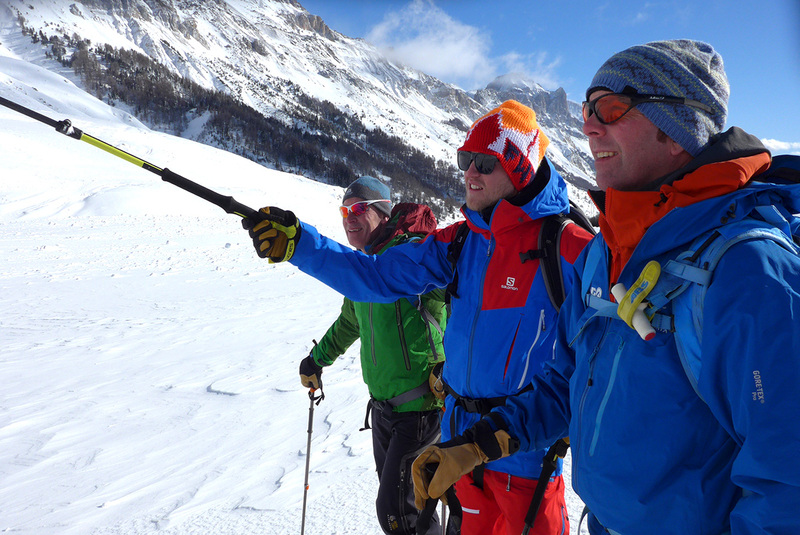 The following week was a 5 day avalanche awareness course, run in high avalanche conditions in the La Grave area. 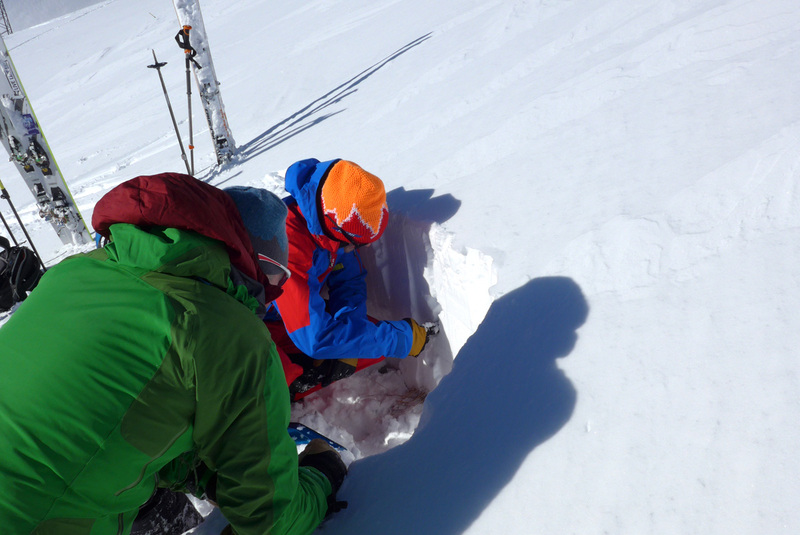 Max Cole (watching) and Dave Searle digging a snow profile in La Grave. Making the course seem even more pertinent was the tragic news of the deaths of a school group in an avalanche just down the valley from our course. Sobering and terrible news, and a strong reminder of the seriousness and responsibility of making avalanche decisions with clients. Dave Searle showing BMG Guide Bruce Goodlad which way to the POW. Our week was spent digging snow profiles, learning in the classroom, reading the terrain and gleaning as much knowledge from our experienced guide teachers as we possibly could. I went away from the week with my eyes freshly opened and also with enough knowledge to continue my own learning after the course. With challenging weather and snowpack, mountain travel options were limited. Here Paul Maine leads the way in some low angle trees. Back at home now in Chamonix reflecting on the course, the most dangerous aspect was nearly sliding off the road twice in snowy conditions! With a packed car, myself and a few of the other candidates held our hearts in our mouths as James slid his VW Caddy sideways towards the abyss on a couple of occasions! How I wish I had been in my Land Rover! Note to self: 4×4 with high quality winter tyres required for future ski guiding!